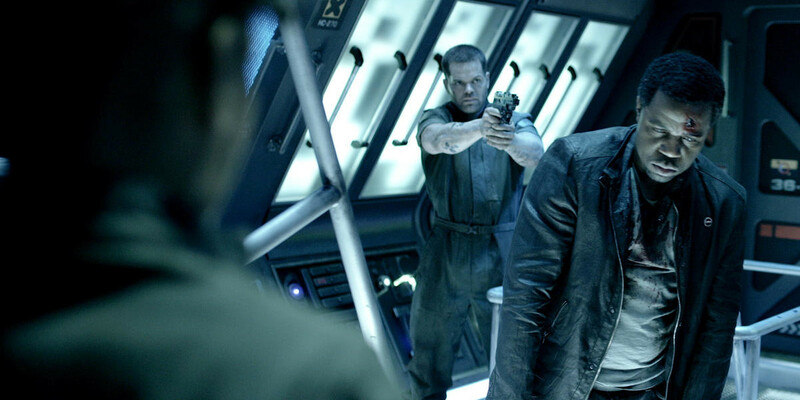 The two-hour season 1 finale of The Expanse is not for the faint of heart. 'Critical Mass/Leviathan Wakes' comes at you fast and without remorse, as we are forced to watch person after person die slowly in front of our eyes. This finale is not something you will easily forget as you await season 2 in 2017. 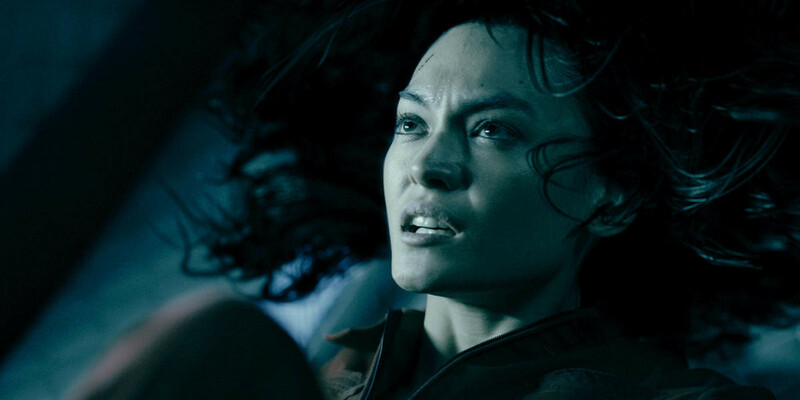 The Expanse takes us back to the beginning by showing the viewers how Julie Mao came to be in the horrific position we found her in last week. The organism, which we now know is referred to as the "protomolecule" is responsible for the demise of not only the Scopuli crew, but the Anubis as well. What's even sadder is the fact that Julie's father (Jules-Pierre) is directly responsible and showed little remorse when he saw his daughter's corpse. Staying with the political side of things, it was a pleasant surprise to see Chrisjen's change of character after learning more about the reasons behind the death of her longtime friend Franklin Degraaf. She is a formidable adversary to have and it appears that she's going to play their game for a little while until the opportune moment arrives when she can take her revenge. The stories concerning the political side of things are still the least interesting aspects of the series, but Shohreh Aghdashloo is delivering an excellent performance and this reviewer can't wait to see what she does next year. Miller and Holden are the pair to watch this week, with their radiation poisoning adventures that will either have you applauding by the time they reach their final destination, or running for the bathroom as you live vicariously through their awful ordeal. Holden is turning into one hell of a leader as he seems to have convinced Miller that they have a better chance of finding out what happened to Julie if they work together. The crew may have a Martian gunship in their possession, but the odds of them surviving against Mao and the U.N. are unlikely unless they can find some allies. Currently, Chrisjen and Fred Johnson might be the only people they can turn to. 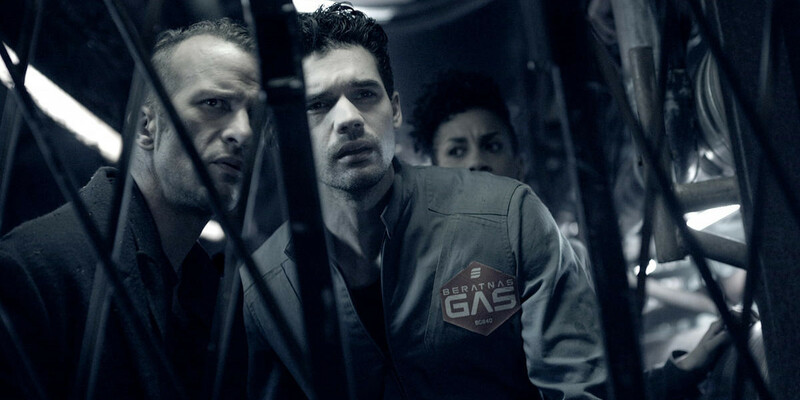 The Expanse is playing a big game and it's difficult to see where all the players are lining up, but that's what makes the show so engaging. The writers give us a little piece of the puzzle each week. Thankfully we don't have to wait until next year to find out what happened to Julie. Even though much time wasn't spent with Julie outside of old video feeds and recordings, her character still had depth. The flashback sequence was well made, as it offered an informative glimpse at the life of a privileged young woman who decided to forgo the opulent lifestyle that was given to her by her father. Instead, Julie wanted to make a difference for those less fortunate than her, but was unaware that the deck was stacked against her. The tragedy is that her own flesh and blood was dealing the cards, so she never stood a chance. By the time we get to see her painfully slow death, one can't help but feel sad for the lovely young revolutionary. Now, she only appears as a phantom for Detective Miller. Hopefully this will not be the last time we see Julie Mao. Back on the Rocinante, we get a glimpse at a possible romance blooming between Naomi and Holden. Amos seems oblivious to this, but remains one of the more entertaining characters on the show. It was no surprise that he killed Sematimba on the bridge, since Amos will always choose Naomi when push comes to shove. He may not be perfect, but there is no denying his loyalty to his crew. Naomi's look after the shot was fired was priceless. There are a thousand different things she could have been thinking in that moment, but anger was not one of them. While it's still unclear, she has to know how vital he is to the crew. The Expanse took its time developing the 10-hour story that was season 1, but it was well worth the wait. Thankfully, Syfy has commissioned a second season for 2017. Will you be back to go even deeper into the black? Stay tuned to see what happens next.